The pyramid has been conceived and designed by architect Sir Norman Foster and engineers Buro Happold and inaugurated in September 2006. It contains accommodations for different religions: Judaism, Islam, Christianity, Buddhism, Hinduism, Taoism and other faiths. It also houses a 1,500- seat opera house, a national museum of culture, a new “university of civilization”, a library and a research center for Kazakhstan’s ethnic and geographical groups. This diversity is unified within the pure form of a pyramid, 62 meters high with a 62 x 62-meter base. The building is conceived as a global center for religious understanding, the renunciation of violence and the promotion of faith and human equality. 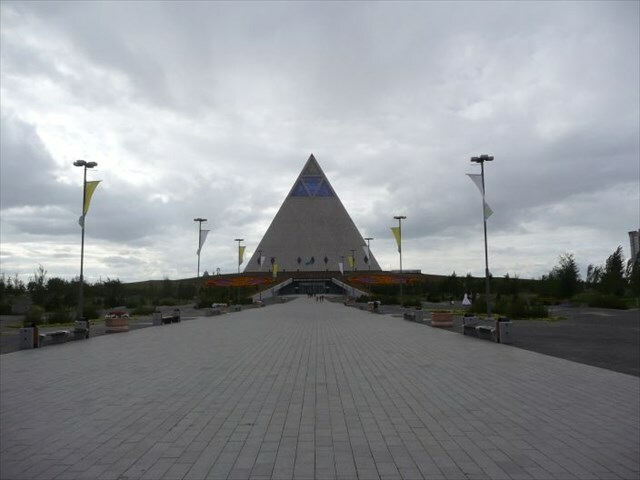 The Pyramid of Peace expresses the spirit of Kazakhstan, where cultures, traditions and representatives of various nationalities coexist in peace, harmony and accord. Bathed in the golden and pale blue glow of the glass (colors taken from the Kazakhstan flag), 200 delegates from the world’s main religions and faiths will meet every three years in a circular chamber — based on the United Nations Security Council meeting room in New York. 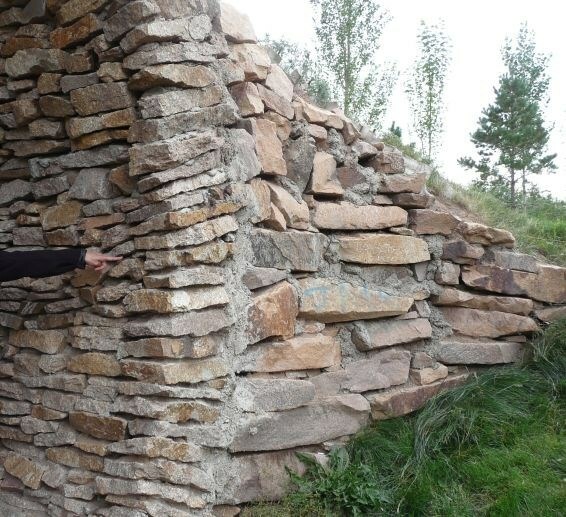 The Cache is hidden at a nearby "tunnel". Please be careful, and rehide the cache properly after logging. Small note on cache maintenance: hügelwühler will assist. Thanks!